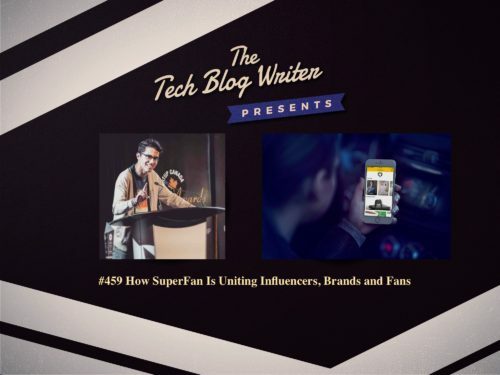 SuperFan is a new-age media company looking to bridge the gaps between influencers, brands, and fans. The company aggregates data from Instagram, Twitter, YouTube and Facebook using their proprietary technology and show users their passionate, influential and casual fans that can be filtered by location, gender, interests, and keywords. Brands can also use the tool to mobilize marketing campaigns like local events, influencer content, prize giveaways, and targeted advertising. SuperFan is a SaaS product for brands and offers a premium version to influencers who want to gain additional privileges like having their top fans compiled and exported to them in a CSV file. SuperFan’s advisory board includes industry rockstars like Ryan Holmes (CEO, Hootsuite), Brandon Steiner (CEO, Steiner Sports), Michael Hyatt (Executive Chairman, BlueCat Networks), Carrick Felix (former NBA player), Karen O’Brien (Vice President of Global Social Media, Western Union), Eliot Robinson (CEO, Dunk), Mark Zablow (CEO, Cogent Marketing), and Trevor Booker (Power Forward, Brooklyn Nets & Partner, JB Fitzgerald Venture Capital). CEO and co-founder Manu (Swish) Goswami, 20, has built a multi-hyphenate career and interviewed Gary Vaynerchuk, Mark Cuban, Lewis Howes, and Seth Godin. Swish is a serial tech entrepreneur (COO & Co-Founder of Dunk), LinkedIn Youth Editor, TEDx speaker (signed with the National Speakers Bureau & The AAT Project), Fortune 500 consultant (for Google and American Express), venture capitalist (at JB Fitzgerald Venture Capital founded by Brooklyn Nets PF Trevor Booker), and UN Youth Ambassador. Manu has been quoted and published in over fifty national and international media outlets including Forbes, Inc. Magazine, Entrepreneur, and Mashable for his entrepreneurial and philanthropic advocacy. He has also been recognized as “one of the world’s most accomplished teenagers” by Future Sharks, “one of ten Gen Z experts to follow” by Forbes and the “Face and Future of Canadian Entrepreneurship” by UPS Canada. Manu has notably spoken at the 71st Session of the United Nations, TEDxUofT, World Business Dialogue, and American Express. He has collectively represented over 600,000 students worldwide. Manu is also a former debater who represented Canada twice at the World Schools Debating Championships leading them to the Grand Final in 2015. I invited him onto the podcast to talk about social entrepreneurship, future technology and SuperFan.